Stylish. Classic. Professional. Let the world know you mean business. 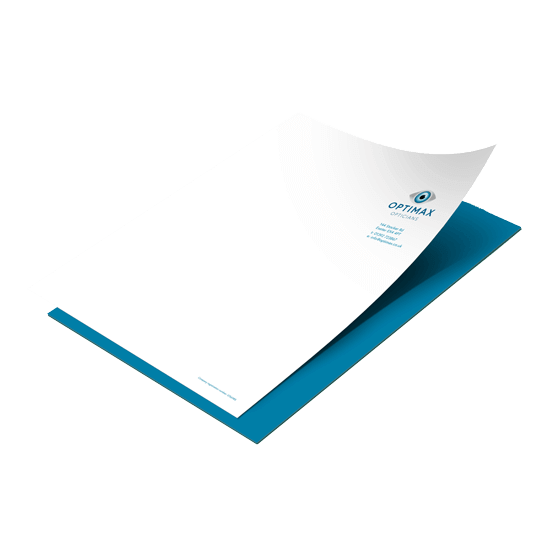 Add a touch of class and professionalism to your business communication with a specially printed letterhead. No more fiddling with formatting; simply pop it in the printer and produce branded documents for all manner of coordinated correspondence. We print our letter headed paper with precision; and with a range of types, sizes, and weights, you can choose the paper stock that’s right for your business. A spot color is an additional color generated by an ink. Spot colour is available only on 90gsm paper when the back side is not printed or when the back side colors are identical to the front. Mixam is rated as 9.5 out of 10 by TrustPilot based on 1583 reviews.